Halloween is upon us this weekend and the Bay Area offers plenty of different ways to celebrate. Here are a few family-friendly ideas. 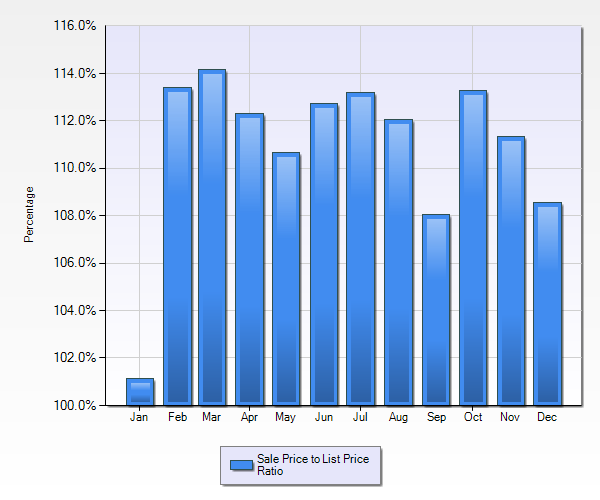 Homes in Palo Alto are expensive and there is a lot of competition for them. Lots in Palo Alto tend to be relatively small. Most are 6,000 to 8,000 square feet. Palo Alto lots (or tear down homes more commonly) are selling for 2 -5 million dollars, making the cost of a new home in Palo Alto astronomical. If a new home is going to cost 4.5 million and up, most buyers want more than 2,000 square feet of living space. This is hard to do when the lot is only 6,000 square feet and the developer has paid $2,500,000 to purchase the lot. The solution has been to build the house with a basement. The reason is that Palo Alto building rules state that square footage under ground does not count towards the total allowable square footage of lot coverage. Additonally Palo Alto single family homes can only be 2 stories high, and the basement does not count as a story. Many of the Palo Alto homes built before 1935 had basements or partial basements. These basements were used for utilities, workshops, or storage, but not for living spaces. Palo Alto's high water table level and occasional floods did not make a basement an attractive living space as they were frequently dark, damp, and musty. Today's newly constructed homes with basements are built for living spaces, with state of the art drainage systems, attention to maximizing light, and great use of space. They not only increase the square footage of a home, but also add bedrooms and recreational spaces and privacy for some. However, this comes at a cost. The rooms are underground. They will never be as light or have the same ventilation as an above grade room. We have been in a drought for most of the years that these new homes with basements are being built. It is unclear how they will hold up if we go through a long period of heavy rain and years of saturated soil. We have no reason to believe there will be a lot of problems, but it is an unknown. As long as Palo Alto has a 2 story limit in residential areas, basements will be the only way to get 2500+ square feet on the smaller lots. If you are looking for a large, newer Palo Alto home, without one third to one half of it underground you will have to find one on a large lot. It will of course cost more, because land is so valuable in Palo Alto, but there are a few. In fact, I have a newer Palo Alto listing coming in early May of a 7 bedroom, 4 bath home, all above grade, with 3,400 square feet of living space, on a 10,900 square foot lot in Midtown Palo Alto, listed for $4,650,000. The East Coast Really Makes Me Appreciate Palo Alto, Ca. I am currently in Maryland, for the third time this summer. One of my sons had surgery and his wonderful neurosurgeon is in Maryland. I really miss Palo Alto. Fortunately we should be able to come home on Tuesday night. The day before surgery my New York based son came to visit my Palo Alto son with some other friends from Palo Alto who are living in New York as well as some of their New York friends. We were discussing the HBO show Silicon Valley and we all agreed it was an accurate description of life in Palo Alto. They claimed much more so than Jame's Franco's movie "Palo Alto", but Franco's childhood in Palo Alto was 10 years before my son's and his friends, so maybe his experiences were very different. 2. The California Ave Farmers Market. I went to a Farmers Market in Silver Spring yesterday and bought nothing. They did allow dogs at the stands so that was nice. 3. The weather here is awful. It has been in the 90's, horrible humidity, and thunderstorms all week. Palo Alto is so temperate. 4. I miss sidewalks. Except for Barron Park Palo Alto has sidewalks everywhere and is walkable. The city planners in everywhere but the urban areas forgot to put in sidewalks. 5. I miss the bike lanes. As much as I sometimes get frustrated with the pedestrian bike interactions inPalo Alto I have yet to see anyone on a bike in the 4 years we have been medical tourists in the DC area. With no sidewalks and no bike lanes it is all cars all the time. There is a subway system, the metro, but only circling the DC area. I guess the weather is too crappy for people to want to walk or bike places. 6. 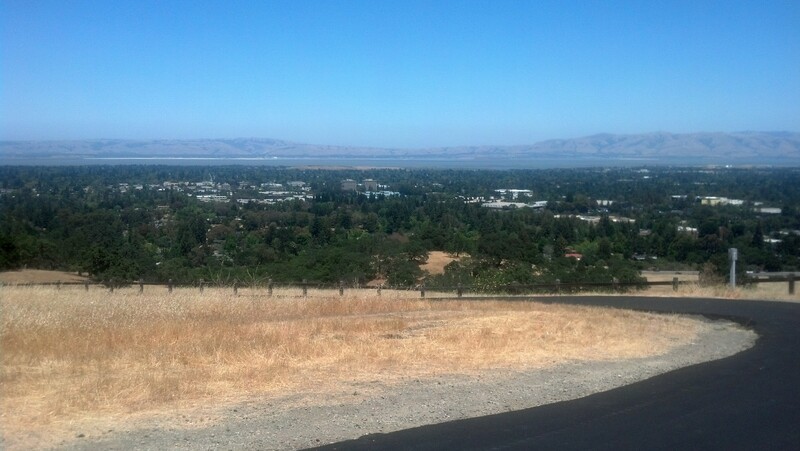 I miss the hills surrounding Palo Alto. It is just flat here. 7. I miss big redwood and oak trees in Palo Alto. The trees here are too skinny. 8. The buildings are tall with street after street of high rise apartments and condos in Silver Spring and Bethesda. They should be suburbs, but the streets are as crowded as cities with cars. The buildings have better proportions and are not as tall in Palo Alto. 9. It is summer, so fresh food is plentiful in Maryland currently. However, in the winter the food is so much better in Palo Alto. 10. My Vente Vaencia Orange Refresher from Starbucks is the same here as it is in Palo Alto. Some things are universal. If you want to search for homes for sale in Palo Alto click here. A cold snap is covering most of the country. I just got a message from a friend in Maryland saying it is 7 degrees this morning so he is going to the gym instead of out running. This is after a big snow storm blanketed the mid west and east coast. I love living in Palo Alto. Today is supposed to be 73 in Palo Alto. I have to decide between going for a run/walk on the Dish at Stanford (walk the steep uphill and run the flat and downhill parts) or taking my dog to the beach at Half Moon Bay. 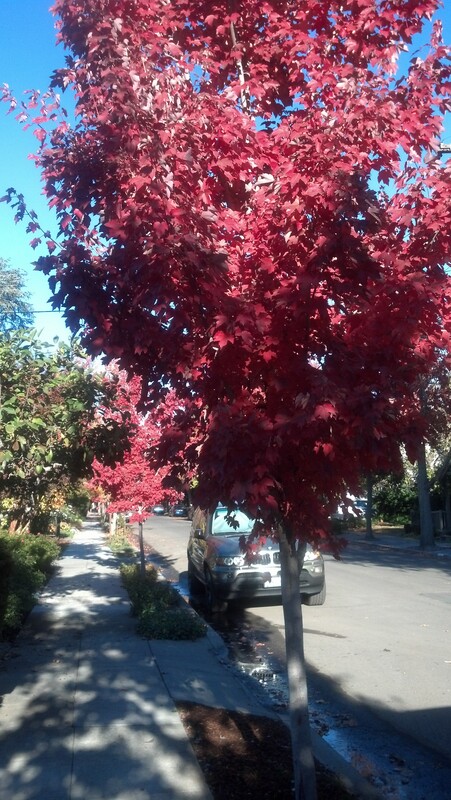 Did I mention I love living in Palo Alto? Maybe I will do both, although I do have a lot of work to do today. It is wonderful to living in Palo Alto, but there are challenges. Homes are expensive, and there is a lot of competition for them. If you want to buy a home in Palo Alto be prepared to pay a lot of money and have a lot of competition. Most homes sell for over list price and have multiple offers as the inventory of homes for sale has been very low for a long time. In 2013 there were 407 single family homes sold. only 5 sold under a million dollars. The average 3 bedroom 2 bath house sold for $1,923,541, was 1661 square feet with a 7,000 square foot lot, and was on the market 14 days. But a smaller house than you find in other neighborhoods for me is a small price to pay for the benefits of living in Palo Alto. I think we have the best schools, parks, restaurants, stores, and people in the world. And who can complain about our wonderful weather? Palo Alto also has great diversity in the neighborhoods. There is the vibrant downtown area with condos, apartments, and cute older homes. Then Professorville with gorgeous historic homes from the turn of the century. Old Palo Alto has both stately homes form the 20's and 30's as well as large newer homes and many larger lots. Crossing Oregon you get to Midtown where older cottages and ranch homes are mixed with many new builds. Then South Palo Alto is the mid century modern lover's dream with street after street of Eichlers. If you want to look for homes in Palo Alto click here. If you have any questions about living in Palo Alto please feel free to contact me. I have been a Palo Alto resident and Palo Alto real estate agent for almost 2 decades and I can honestly say I love living in Palo Alto. There are many reasons, but here are a few of my favorite. 1.The weather is perfect! Summers are not too hot, winters are not too cold, and the fall lasts for months. 2. The schools are wonderful. Elementary schools are all within walking distance of every home in Palo Alto and there are several city wide schools of choice. Ohlone is a project based learning environment, Hoover emphasizes teacher directed programs and high academic standards, there is Spanish immersion, and Mandarin immersion. Middle schools also have project based Connections program, as well as more traditional high academic programs. High Schools are nationally ranked and have amazing theater, journalism, and robotics programs. 3. Great parks including Mitchell Park with tennis, a fenced in dog park, and plenty of bar-b-que areas in the south, or Rinconada park in the north also with tennis courts but a public swimming pool as well. 4. Fantastic restaurants! People living in Palo Alto, or just visiting can enjoy food from all over the world and at any price. Some of my favorites include Indian street food from Curry Up, organic Thai food at Siam Orchid, both downtown, Palo Alto Sol, the best Mexican food ever on California Ave, or Rice, in south Palo Alto. 5. Living in Palo Alto does not mean living in a boring suburb. There is plenty of entertainment including the highly regarded Theatre Works bring both new works, and well known plays to the town, The Aquarius and Palo Alto Square Movie Theatres, an ice skating rink, of course The Palo Alto Children's Theatre which has fostered a love of theatre in children for innumerable decades. 6. Living in Palo Alto means having great shopping only minutes away. The Stanford shopping Center, Town and County Shopping Center, University Ave, California Ave, Midtown, and Piazza's Shopping Center, Philzz Coffee, Pete's Coffee, Starbucks, Whole Foods, Trader Joe's, Safeway, Piazza's, CVS, Walgreen's, Per Food Express, and even Goodwill are all here and ready to serve you. With so many things to do and place to go to, it is no wonder that living in Palo Alto is the aspiration of so many people in the bay area. Curry Up Now Palo Alto: A Fantastic Place To Eat! 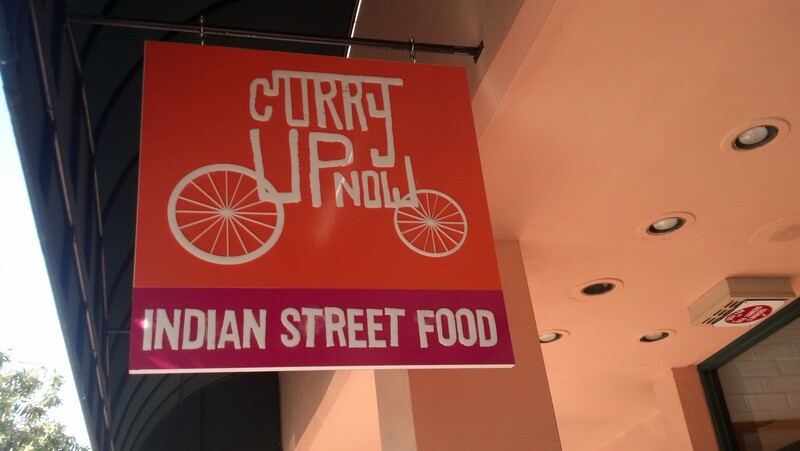 Curry Up Now is in downtown Palo Alto at 321 Hamilton Ave, Palo Alto. It is open Monday- Friday 11:00am- 10:00pm, Saturday 11:30am- 10:00pm, and Sunday 11:30am- 9:00pm. It is a chain that is also located in San Mateo and San Francisco. They have 3 food trucks that you are able to check for their schedule online. You can also hire the food trucks for one of your events. You are able to order online for any of their locations or food trucks. Curry Up Now serves Indian fusion street food and even offers many vegan and gluten free options. They warn that they prepare their vegan items in a common kitchen that would have the risk of dairy exposure. For gluten free options they offer a gluten free tortilla and flat bread. They do warn that they prepare gluten free food in a common kitchen space for those that have celiac or any another gluten sensitive disease. Also they do not always have the gluten free tortillas in stock. However, I find the bowls with rice, garbonzo beans, and a protein plenty of food for my gluten intolerant stomach! I particularly love the paneer tika masala. The Tikka Masala burrito is delicious. It definitely has spice, but is not too spicy you can't eat it. It has your choice of white or brown rice, garbanzo beans, onions, and choice of chicken; paneer; or tofu. You can also order it deconstructed which means the filling is in a bowl with the tortilla given on the side. Another treat not to be missed is the ginger lemonade. I am not much a sweet drink fan, but this lemonade, made from fresh lemons is the perfect compliment to a spicy meal. There are many choices of places to eat in downtown Palo Alto but Curry Up Now is fast, reasonably prices, and delicious so it hold up well to the competition. The Peninsula Youth Theatre is a children's theater very close to my heart. I spent many years as a parent there, and the experiences were amongst the best of my childrens' lives. PYT performs at the Mountain View Center for the Performing Arts, 500 Castro St, Mountain View. They have a wonderful array of options for children year round. The Sound of Music is the next show of the season that performs March 1-9 2014 and auditions are Nov 30 & Dec 1. The third show of the season is Oliver! that performs May 10- May 18 2014 and auditions March 8 & 9. The final show has not been announced yet, but will be performed July 26- Aug 3. Peninsula Youth Theater offers classes and camps for children ages 3.5 years and older. All fall classes are at the PYT studios at 2500 Old Middlefield Way, Mountain View. They hold an annual fall "FUNdraiser" called Puttin' on the Ritz. This year it will be on September 21, Saturday 6-9:30pm at the Community School of Music & Arts. It is an elegant evening of fine wine, dessert, live entertainment, and a silent auction. Tickets are $50, but there is also a sponsor and star sponsor level with various perks. 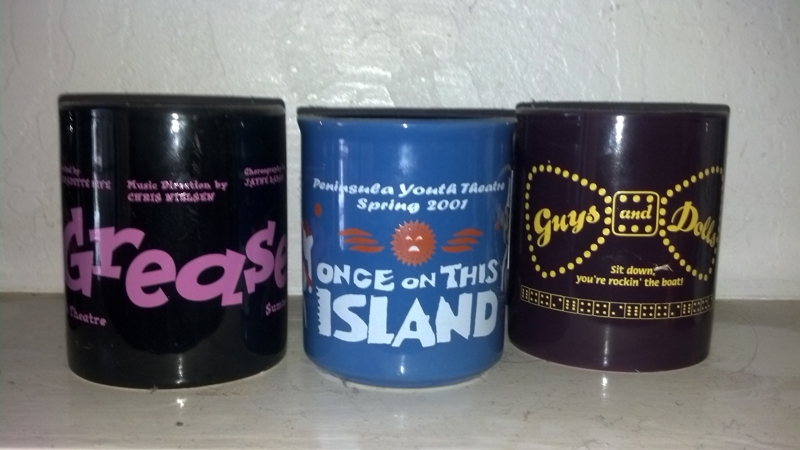 If you would like to search for homes near Peninsula Youth Theatre click here. The Palo Alto Children's Theater started in 1932 and has grown to be a mainstay of the Palo Alto community by being one of the first and only children's theaters in the nation that has a fully-equipped theater exclusively for young people. It is located at 1305 Middlefield Road, Palo Alto, 94301. The Palo Alto Children's Theater has so much opportunity for youth in Palo Alto. 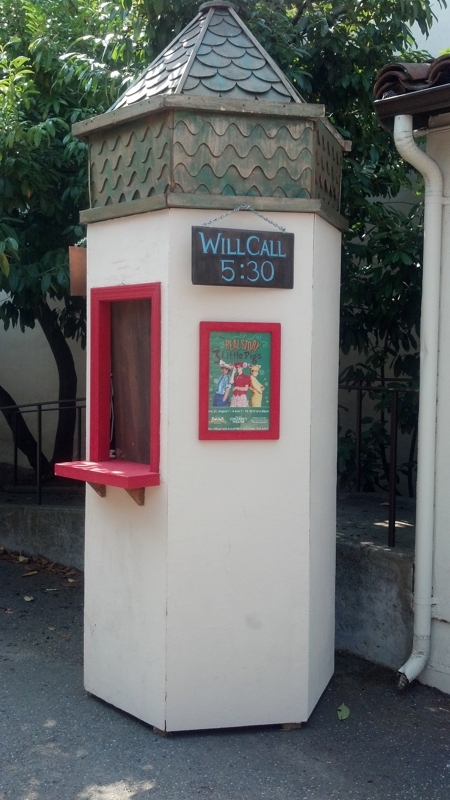 The Palo Alto Children's Theater hosts Hot Dog Suppertime shows for their summer shows. It is when you can bring a picnic for your family or the Friends of the Children's Theater; a volunteer organization; will have food to purchase which includes hot dogs, hamburgers, veggie burgers, chips and soft drinks at the show. The shows are performed at the Roy Ginsburg Magic Castle Stage at Children's Theater and the gates to Secret Garden open at 5:45 pm. Performances run approximately one hour. Children ages four and up are recommended. Tickets are $10 for children and $12 for adults. Tickets can be purchased over at the box office either in person or on the phone at 650-463-4970. The next Hot Dog Suppertime Show is The Real Story of the Three Little Pigs and is performed by the Wingspread Company. This parody challenges the truth of the story of the three little pigs by putting the Big Bad Wolf on trial and letting the audience be the jury by deciding if he is guilty or not guilty. It runs from July 31, August 1-4, 7, 8-10 at 6:30pm. 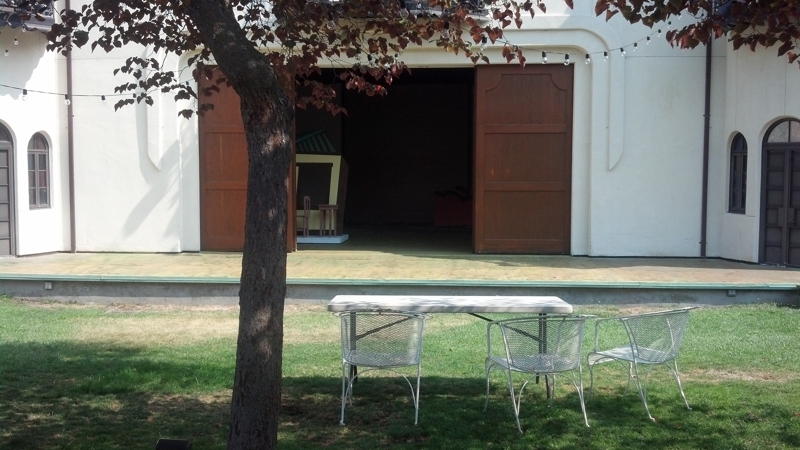 The Wingspread Company is Palo Alto Children Theater's summer stock program. You may audition if you are 16- 24 year olds or if you have completed all four levels of the Summer Conservatory. The auditions are typically held in April and May and scheduled by appointment. Palo Alto Children's Theater presents The Playhouse shows one weekend of each month from September to May for 3-6 year olds by local high school students. These folk or fairy tales are performed on Saturdays at 10:00 am & 12:00pm and Sundays at 12:00pm where audience participation is always encouraged. The shows are 45 minutes. Tickets are $10 for children and $12 for adults at the Magic Castle Stage. The Playhouse shows are sponsored by the Teen Arts Council, An organization and initiative of the Palo Alto Children's Theater, whose focus is to provide teens with creative arts programs to express themselves. They even have a grant board that offers financial assistance to teen's creative projects. Palo Alto Children's Theater Mainstage Season will be announced in August. The season runs from November to March. Tickets are $10 for Children and $12 for Adults. Something to keep in mind for next summer are the classes that Palo Alto Children's Theater offers. The summer classes are available for preschool to teens of 18 years of age. Most summer classes begin in the beginning of June and end in August. Space is limited so calling as soon as possible to reserve a spot is suggested. This includes Private Vocal sessions available for teens. For more information you may also call 650-463-4930, Tuesday - Saturday, 9:30-6:30 pm.http://www.cityofpaloalto.org/gov/depts/csd/theatre/classes.asp They also offer classes throughout the year. If you have a child that would like to audition for a play, they normally have to be 8 years old to high school age. There are scheduled audition dates for each play that are posted online. No experience or appointment is necessary. All that is needed is a memorized one minute monologue. If it is a musical, you will also need a short song and be dressed to dance at the audition. If you wanted to Volunteer for Palo Alto Children's Theater in sewing, set construction and painting, baking & selling brownies at performances, assembling programs or inputting computer data you can call 650-463-4930. They would be more than happy for your generous help. The Green Elephant In Palo Alto is still Fantastic! The Green Elephant is a combo Chinese/Burmese Restaurant on Middlefield Rd. in the Piazza Shopping Center at the corner of Charleston. I’ve never actually eaten in the restaurant but get take out from there all the time. There are many wonderful dishes, but I just want to give you my personal favorite. Nutty, fruity, shrimp. This dish is so good it deserves its own blog post. This is the most wonderful combination of shrimp, mangos, pineapple, papaya, peppers, cashews, and some kind of sauce. You can order it with brown rice, white rice, or pineapple fried rice. This is my comfort food. Also available are nutty fruity chicken or nutty fruity tofu. If you are in south Palo Alto it is worth a try. I have never seen this dish anywhere else, but I don’t get out much, so maybe it’s available in lots of places. If so, trust me, try it! I wrote this blog in 2009 and it is as true today as it was then. But there are some updates to my obsession with this fabulous restaurant. First of all The Green Elephant has just instituted a new way to obtain this delicious food. They have a new website: http://www.greenelephantpaloalto.com where you can order your food from your computer or smart phone. Forget what you know about salads from any American menu and try this fabulous concoction! You will not be dissappointed. Recently one of my neighbors passed. We had a goup of neighbors go to the Green Elephant for a mini memorial dinner. He would have been happy to see if his close friends and neighbors remember him at his favorite restaurant. The Palo Alto's Children's Library is fitted for children at birth to 5th grade and is located at 1276 Harriet Street. The Palo Alto Children's Library was originally built in 1940 which makes it the oldest free-standing children's library in the country. The Palo Alto Children's Library was renovated and expanded in 2005 and opened in 2007 by private donations, which certainly shows the support of the community. The library space almost doubled with this expansion. They added a north single story with ADA- accessible restrooms and a program room. This room provides a space for storytimes and leads to the Secret Garden for outdoor programs. A Tree Top room was added on the Secret Garden to read quietly by the fountain. A plush bonus to the library is that they installed a ground source heat pump for cooling and heating of the library without noise disruption. The Palo Alto's Children's Library is open every day of the week with limited hours, but is still very convenient. The hours are Monday from noon- 6:00pm, Tuesday & Wednesday from 10:00am - 6:00pm, Thursday from noon- 6:00pm, Friday & Saturday 10:00am- 5:00pm, and Sunday 1:00pm- 5:00pm. 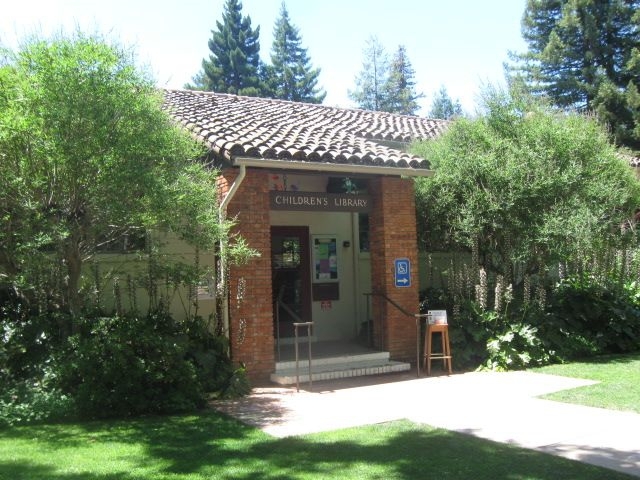 The Palo Alto Children's Library offers events through the month. Currently the event scheduled on July 26, August 2, and August 16 is Friday Fun. It starts at 3:30 and ends at 5:00pm and has board games, crafts, and BINGO for all the little attendees. Storytime is an anticipated event with specialized audiences in mind. For the month of July, they have decided not to have storytime. Baby storytime will be from August 27 to October 1 at the Palo Alto Children's Library and then alternate to another branch. The lapsit program is suitable for babies 6 months to 18 months. The Palo Alto Children's Library also offers bilingual storytimes. The Mandarin and English storytime are Mondays at 4:00pm and will resume August 5. There is normally a Spanish and English storytime but the librarian is on maternity leave who performs the storytime and the library is unsure when it will again commence. For children 18 months to 3 years a Toddler storytime is presented on Wednesdays at 10:00am, starting August 7. For children 3 years to 5 years a Preschool storytime is held on Tuesdays at 10:00am, beginning August 6. The Palo Alto Children's Library is a valued treasure of the community that strives to be accessible to all little ones in books, art, stories, and media. Palo Alto is home is so many activities for children is an embarrassment of riches. 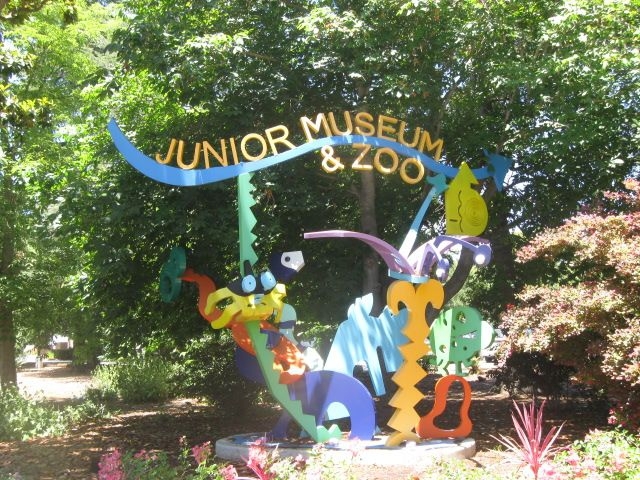 One of my favorite spots for children has always been the PaloAlto Junior Museum and Zoo. I spent many happy hours there when my children were young talking to the goose and learning about raccoon in Palo Alto. The Palo Alto Junior Museum and Zoo is located off Middlefield Road next to Walter Hays Elementary. It is in the Palo Alto Community Center complex which also includes Rinconada Park, Palo Alto Children's Library, and the Lucy Stern Community Center. The Museum and Zoo is home to 50 species of local wild life including owls, snakes, fruit bats raccoons, geese, ducks, bobcats, and various other small animals that can be on display. There are rotating exhibits that explain science to children in ways they can experience and understand. Some of the exhibits are Bobcat Ridge, a natural habitat for the two resident bobcats Rufus and Tule. Next to bobcat Ridge is the Kitten's Den which is a naturally landscaped sculpture garden. The African Bat Cave gives children the opportunity to explore a rain forest and watch fruit bats in their natural habitat. Raccoon Creek is a place where children can get up close and personal with the two resident raccoons Loki and Aigon. Tortoise Hill is where the African spurred tortoise Edward lives. He often goes on walks around the zoo with his keeper and the many children who visit. The Palo Alto Museum and Zoo holds classes in the winter and runs camps in the summer. This is no ordinary zoo or ordinary museum. It is a place where the children of Palo Alto can learn about science and nature in a real world environment, and on a scale appropriate to even the youngest children. The Palo Alto Museum and Zoo is closed Mondays and open from 10-5 Tues thru Sat and 1-4 on Sunday. Admission is free but donations are gladly accepted! The Palo Alto Junior Museum and Zoo is just one of the reasons that Palo Alto is such an ideal place to live. Theatre is alive in the Bay Area. Not only does Palo Alto have many options, but also not far is San Jose, which is also full of viable options. San Jose Repertory Theatre shows current, beautiful shows. Their seasons consist of 7 shows. For the last two years, this has included Rick Lombardo's, the artistic director, adaptation of The Christmas Carol. The actors are consistently superb. The house is a comfortable size where the view is great from almost any seat. To make theatre more accessible they offer a number of events and discounts. Seniors; people who are 65 years and over, teachers, ASL, and military members receive $6 off their tickets. Students generously receive 50% off their tickets. Out N' About night saves $10 off a scheduled day of the performance. Pay What You Will night is an opportunity for everyone to buy tickets at what they can afford, with the suggested price of $10 a ticket, to the mainstage show. It is the first public showing of the play. Usually it is on a Thursday before opening night unless it falls on a holiday. The Rep sees this as a way to share theatre with anyone who would like to come. They only ask to have people use social media after to share their reviews of the show. It is a fantastic, unique way to see a show. Currently, Next to Normal is a Tony and Pulitzer Prize winning musical that is running until February 3, 2013. It is co-produced with the Arizona Theatre Company. It is a remarkable show about a mother who is dealing with her growing mental illness, how the medical society treats mental illness, and how the woman's family copes. It is a touching, hilariously truthful story told by brilliant actors. 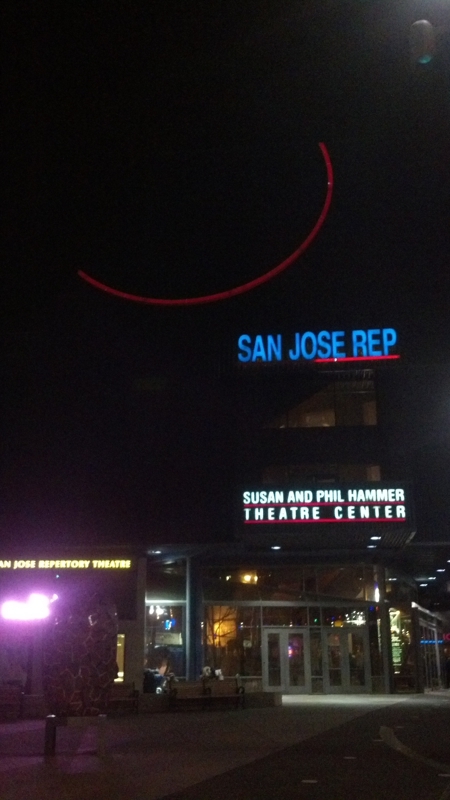 So, if you live in Palo Alto you can take a short drive (or Cal Train) to San Jose and experience world class theatre. Wonderful news for Palo Alto and the rest of the Bay Area. Theatre Works will be performing "Big River" in Dec. as their Holiday show. I am beyond ecstatic! Big River is a musical version of Huckelberry Finn with hauntingly great music by Roger Williams. It ran on Broadway in 1985 and was revived in 2003 by the Deaf WestTheatre and Roundabout Theatres. The show has always been my favorite, and it is a fantastic family friendly offering which can be enjoyed by all ages. Even if you are not a lover of musicals, Big River can be wonderful entertainment for anyone with a fondness for Mark Twain, and doesn't everyone love Mark Twain? I hope to see you there, supporting one of the treasures of Palo Alto, Theatre Works, our very own professional theatre company. Is West Oakland The West Coast's Brooklyn? In 2004 my son left to go to college at New York University which is in the Village. At the time, the Village was The place to be for not only NYU students, but young professionals as well as the artists struggling in NY. When he graduated in 2008 the financial market was in crisis so rents were dropping, and young graduates could still afford (although barely) to live there. However, by 2010 Village rents were up again, and by 2012 most young people not working on Wall Street had left for Brooklyn. Brooklyn is now the center of the universe for 20 somethings (as evidenced by Girls and everyone I know under 30) The investors who own rental properties in Brooklyn are now blessed with an endless stream of ready and willing renters. I see the same thing happening in West Oakland. San Francisco is so overwhelmed with start up companies and techies making pretty high salaries, that finding an affordable rental in San Francisco is very difficult, even with rent control in homes built before 1978. Many young people who simply cannot afford the sky high rents of most of SF are moving to West Oakland. This is especially popular for young artists and others in non tech-related fields. So my advice to Silicon Valley investors looking for rental properties, maybe it is time to look at West Oakland for your long term rental property portfolio. There are plenty of 20 somethings looking for rentals, and your return on investment is better than in many other cities in the Bay Area. Palo Alto has many wonderful parks with ample opportunity for recreational activities for everyone. 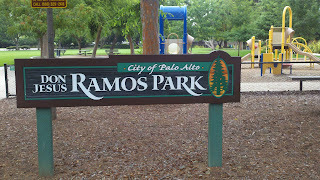 Ramos park, located at 800 East Meadow in south Palo Alto is one of the quieter parks in Palo Alto. It is 4.4 acres with ample grassy area, a walking path, and a wonderful play structure area. 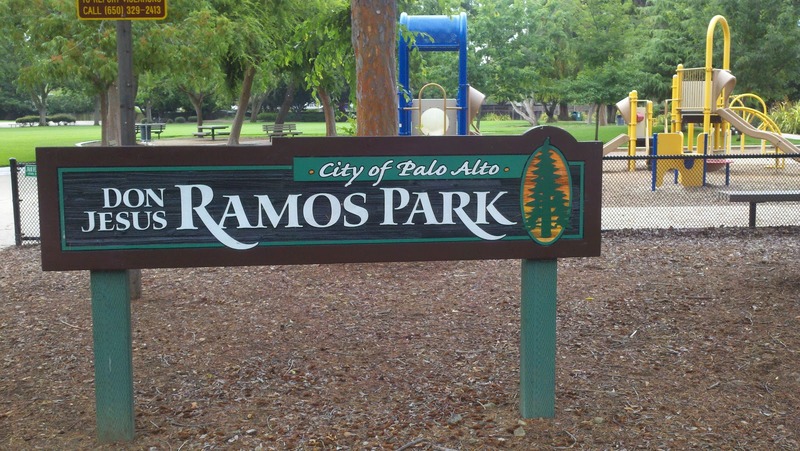 While Ramos does not have some of the specialty features of other parks like a dog run or skate board area, it is a wonderful place for a meditative walk, a morning tai chi workout, or a play day for the children. So check it out, and soak up your daily requirement of vitamin D in south Palo Palo Alto's Ramos Park. I do not go out to eat a lot, but when I do I want something good, and at least a little different from what I usually eat. Rice on El Camino in Palo Alto has become my new favorite place to lunch in Palo Alto. As the name suggests they serve food made from, or with rice, and you get your choice of either brown or jasmine rice. They have a wide variety of curries, soups, and rice noodle dishes. My favorites are Drunken Noodles, Green Curry, and spicy rice noodle soup. Drunken Noodles, are like chow fun, but much more flavorful. Spicy noodle soup is a very flavorful chicken broth with chile spices and thin rice noodles. You can add meat, shrimp, or chicken to either of those. The curries are also delicious, and nothing tastes too greasy. Rice is located at 3924 El Camino, next to Happy Donuts in the old Quizno's building. Every year on Christmas Eve, Stanford Theatre on University Ave. in Palo Alto shows Frank Capra's classic film It's a Wonderful Life, starring Jimmy Stewart and Donna Reed. For the last 21 years, this special showing has been a Christmas tradition, and every year it sells out. It is THE place to be on Christmas Eve in this wonderful little city. The theater is gorgeous, built in the 40's and renovated in the mid 80's by Dave Packard, or Little Dave as he is known around here. His father, Big Dave, was one of the founders of Hewlett Packard, who famously started Silicon Valley in a garage on Addison St. Before the show begins, a huge Wurlitzer organ rises from under the stage and plays Christmas music. Then Dave comes onstage to talk about the theatre and the film. Last night he talked about how the film was originally released in May or June (I can't remember! ), instead of Christmas. Little Dave passionately believes movies need to be seen in a theatre, with other people, and on the right day. He is certainly correct about It's a Wonderful Life. I think it is this belief that keeps Dave from showing any movie made after 1960 at Stanford Theater. During the movie the audience claps, boos at the bad guys, and is totally transported to Bedford Falls. My favorite part is when the names of two of the characters, best friends Bert and Ernie, are finally said together. The newbies in the audience get a huge laugh out of this, when they realize for the first time where Jim Henson came up with his Bert and Ernie on Sesame Street. So if you are anywhere near Palo Alto next Christmas Eve, be sure to catch this heartwarming film in the ideal setting. Tickets usually sell out three or four days ahead of time, and can't be bought online. However, the line forms to get a seat a few hours before the show, and there are always people there giving away extra tickets. They rarely sell the extras, and no one scalps. It really is a wonderful life in Palo Alto. Every year the Palo Alto Weekly releases their “Best of... List” and this year got me thinking, “What do my family and I consider the best places to eat and shop in Palo Alto?” This is an an ongoing series about personal favorites in my city. Yes, three dollars is more than a cup of coffee at Starbucks. Yes, you’re going to have to wait much longer than you would for something from a coffee pot at 7-11, but there is a reason this place has consistently been voted “The best coffee” in San Francisco...It’s. Absolutely. Fantastic. Coffee. Every year the Palo Alto Weekly releases their “Best of... List” and this year got me thinking, “What do my family and I consider the best places to eat and shop in Palo Alto?” This is the first installment in an ongoing series about personal favorites in my city. Chipotle is the burrito of choice for the Weekly. And while you shouldn’t get me started on how much I love a Chipotle burrito bowl, for me the best burrito is new-comer Sancho’s Taqueria on Lytton. Sancho’s was opened at the end of last year by Adam Torres (a former cook at the Michelin-starred Village Pub) who also heads a Sancho's in Redwood City and La Tiendita in East Palo Alto. Although the burritos are gigantic, they certainly don't sacrifice quality for quantity. What makes them the best is the absolutely to-die-for refried beans they serve. With fresh meat and seafood, plenty of vegetarian options, and an comprehensive salsa bar, Sancho’s is going to be around for a long while. *Found this Sancho's burrito photo on the wonderful Silicon Valley dining blog Foodgal. The Bay Area Food Truck Craze: Trend, or Here to Stay? Food trucks have been all the rage in the San Francisco Bay Area for some time now, and it looks like Palo Alto’s catching on to the trendy new foodie fixation. These trucks, which inspire passionate devotion and straight-up wars in the comments sections of websites like Chowhound and Yelp, keep fans on their toes by switching locations often and "tweeting" their whereabouts to followers on Twitter. The sensation is about as Silicon Valley as you can get: local food cooked by creative entrepreneurs who found a way around the shaky economy (food trucks have low overhead and far less risk than a new restaurant), by utilizing popular social media platforms like Facebook and Twitter to connect with existing customers and lure in new ones. Most of the Bay Area’s food trucks are located in the Mission District of San Francisco. There’s the “Crème Brulee guy,” who dishes out the French dessert in an ever-changing variety of flavors. Depending on the night the menu might offer Dulche de Leche, Mexican chocolate, vanilla bean, coffee, s’mores, or even Pina Colada. Fans talk of the crème brulee guy’s caramelized custard with a hushed reverence--some describe themselves as stalkers. Other popular San Francisco/Bay Area trucks include the El Tonayense taco truck, Spencer on the Go Truck (escargot on a stick is one of the premium bistro-menu offerings), Magic Curry Kart,Treatbot (the "Karaoke ice cream truck from the future"), NetAppetit, MoBowl,Lumpia Cart (Filipino egg rolls), Adobo Hobo, and MoGo BBQ. Google any of these names and you’ll find the trucks’ Twitter profiles and numerous blog posts either ranting or raving about their menus. Most of them have thousands of followers--yet another example of the way the food industry has tapped into the skyrocketing business potential of social media, providing a perfect model for real estate agents (or really anyone in a service-type industry) who want to turn their online profiles into offline transactions. MoGo BBQ is based in Palo Alto, and like the rest of the trucks can only be found via Facebook and Twitter. Like Kogi, MoGo focuses on Mexican/Korean BBQ. Most successful food trucks offer niche products--menus tend to be small, prices are cheap, and the food is easy to eat with your hands. The MoGo menu has five options (Taco, Quesadilla, Short Rib Silders, Bay Area Dog, and Burritos), and you can choose your protein/toppings. Nothing is more than $7. The truck is less than a year old, and relies exclusively on the hungry residents of Palo Alto and neighboring cities. As of today, MoGo has over 5,000 followers on Twitter (Kogi has 12,000) and 8,000 “likes” on Facebook. It looks like in Palo Alto, the food truck craze might be less a trend and more a permanent change in the way we go “out” to eat. It’s August. I don’t know how it happened, but Labor Day is coming up fast (one month! ), which means this summer’s on its final stretch. If you’re anything like me, life doesn’t change much with the seasons--summer just means work with more sun shining through the windows. But there are still a few weeks left, and tons of great events and concerts scheduled all over the Bay Area. You haven't missed the whole party! Don’t you owe it to yourself to get out of the office and to connect with the community? Or, if you're less socially-minded, to eat some killer food? Here are a handful of August highlights. My apologies if these are skewed toward foodie culture--I’ll include some links at the end of the post for those of you aren’t quite as obsessed with food. EAT Restaurant at 111 Minna Gallery: Tonight, August 4th, from 5:00-10:00. One of my favorite things about Palo Alto is that it’s just a quick drive to San Francisco. I might try and make it up there for this one. Eat Restaurant is the city’s only pop-up restaurant (run by chef Tommy Halverson)--it switches venues all the time. Tonight Eat’s at the gorgeous Minna Gallery, and the mouth-watering menu features local, sustainable produce and cocktails developed by San Francisco’s finest mixologists. This two day festival celebrates the talents and culture of San Francisco's community of Pacific Islanders. It's a free event, featuring arts and crafts, Polynesian dancing, island cuisine, workshops and educational exhibits, games for kids, and something called an 'Ohana Korner (I'm definitely going to find out what this is). There's no alcohol permitted on premises. This seems like the kind of event that's great for the whole family. Promo materials are billing this re-occuring event (every Friday throughout August) as a food adventure. Which sounds about right, considering this description: "Off The Grid brings a diverse group of mobile food vendors, with music, to the Marina neighborhood. Enjoy such delights as the Chairman Bao Bun Truck, Kung Fu Tacos, El Porteno Empanadas, Curry Up Now, and Chaac Mool." Also, it's in a parking lot. For some reason street food just tastes better when you're standing on concrete. The Santa Cruz Boardwalk is one of my favorite places in the Bay Area. It’s the quintessential summer scene--sandy beach, an ocean dotted with surfers, the smell of hot dogs, and that brightly lit Ferris Wheel turning in the background. The bands play right on the beach, and every concert is free. This Friday catch A Flock of Seagulls, followed in the coming weeks by Spin Doctors, Papa Doo Run Run, and Starship. Okay, so I know I've given you three and half food events so far, but here's another local food showdown that sounds particularly noteworthy. For $30, you can join a group of adventurous eaters on a dish crawl through Cupertino. It’s your chance to try Taiwanese food, if you’re unfamiliar with the cuisine. The dish crawl official website offers a hunger-pang inducing description: Taiwanese cuisine has an extremely unique flavour. Dishes range from sticky oyster pancakes with egg and sweet chili sauce to meatballs encased in a mochi-like shell. Sometimes it's the simplicity of a well executed pork chop over rice and served with pickled veggies. If your tastebuds are up for it, you must come explore. ;) $30 for 4+ courses at a few local hidden faves. Get in touch with your nerdy side (or make your kids happy) at the annual toy/comic book/vintage collectible bonanza. No seriously, it’s a bonanza--with over 250 tables offering toys and collectibles that range from Transformers and Star Wars figurines to vintage lunch boxes, this event promises to be a wonderland of nostalgia. Tickets are cheap too--five bucks for adults, and kids get in half price. The San Jose Jazz festival is one of the most exciting and well-attended jazz festivals in the country. Last year over 100,000 people swarmed the Plaza de Cesar Chavez in downtown San Jose to listen to a truly international line-up of musicians. Whether you’re into funk, blues, fusion, Latin, R&B, folk--there’s a band on the schedule for you (Tower of Power is playing the first night!). Check out the official website for online discounts and more information, including past attendee memories of the festival, and the details on joining a Salsa Flash Mob… Tickets go fast! A couple of years ago I saw the Shakespeare Santa Cruz production of Beckett’s End Game on the mainstage, and couldn’t have been more impressed with the quality of the performances, the gorgeous and bleak set design, and the directorial interpretation of such a difficult play. There’s world-class theater happening right in our neighborhood, and you really shouldn’t miss it--there’s something spectacular about seeing a show outdoors in the Festival Glen, as the sky darkens and the redwoods seem to creep closer to listen. Starting at $15 a pop, tickets are cheap. August offerings include The Lion in Winter (a contemporary family drama), Love’s Labor’s Lost, and the heart-searing Othello. Every Fourth of July Palo Alto celebrates our nation’s independence with a chili cook off in Mitchell Park. It’s an all day affair, and a smoking hot one too (whomp whomp) thanks to the chilies, the sunshine, and the inevitable crowds eager to sample first-rate chili recipes whipped up by 20 teams. The teams compete in three categories: open, vegetarian, and corporate. Competition is stiff, and the winners receive cash rewards ($400 for 1st place, $200 for 2nd, a plaque for 3rd) and more importantly, hefty bragging rights. Last year the Palo Alto firefighters took home the People’s Choice Award and also won first place in the corporate division, beating out local favorites like Whole Foods and The Rose & Crown Pub. The turnout is always good (attendance is estimated at between 5,000 and 7,000 people), and the spirit is festive to say the least. In fact, in preparation for this year’s cook off, the city’s Recreation Department is instigating a new “code of conduct” with the hopes of tamping down undue rowdiness and excessive drinking. According to the local rumor mill, last year there were reports of teams bribing judges with alcoholic beverages, and team Top Gun Chili was banned from participating in future cook-offs, thanks to their "highly intoxicated behavior" and "use of inappropriate language and gestures." So while the 29th Annual Summer Festival and Chili Cook-off might be a bit tamer than in years past, it’s still a Palo Alto Independence Day tradition, and a lot of fun. Head out to Mitchell Park today--not only will you get a chance to try some unforgettable chili, you’ll also get to spend some valuable time with the community leaders, families, and local organizations that make Palo Alto such a distinctly warm and lively (or should I say spicy?) place. The festival starts at noon, with line-dancing orchestrated by Hedy McAdams, live music played by the band Blues, children's activities, and of course chili tastings. Admission is free, and a tasting kit can be bought for $5. Check out the full schedule on the city's website. *thanks to the city of Palo Alto website for the photos! Few places in the world make me as happy as the Palo Alto Farmers' Market. Every Saturday morning (8AM to 12PM) from mid-May to mid-December local farms and artisanal food vendors line up along California Avenue, selling the freshest produce imaginable and other hard-to-find foodstuffs. This time of year is particularly wonderful, because it's the peak of cherry season (I LOVE CHERRIES) which means for a couple of months I have access to unbelievable cherries, cherries so good they ruin me for the rest of the year--seriously, it's hard to eat frozen cherries or even the delicious canned kind from American Spoon Foods (more on their fruit later) after tasting farmers' market cherries at the height of their natural glory. As frustrating as it is to know that cherry season will eventually come to an end (as all good things do! ), and I'll be deprived until next May, I'm grateful the farmers' market is around to remind me of a more natural way of eating and thinking about food. When you shop at the farmers' market you're fostering a connection to the earth, to the seasons, and to the community itself. Because on a Saturday morning during farmers' market season in Palo Alto, you're bound to bump into at least a couple people you know--I can't count how many times I've reached over for some arugula or stood by that AMAZING Afghani place tasting potato bread topped with lentils and eggplant and noticed that the person to my right was my neighbor, or an old client, or one of my son's high school teachers. So when I mean community, I mean the farmers and vendors, the people who call Palo Alto home, and the land itself, the land that offers up so much beautiful produce. Really, if you haven't been, you need to check out the farmers' market. There's usually live music, and there's always something you haven't seen before, like lamb's quarters (a wild variety of spinach I'd never heard of until a couple weeks ago). Once you start eating sustainable, local produce, you'll never want to go back--not only will your meals taste better, but you'll be doing something good for the environment and the local economy. Supporting the Palo Alto's farmers' market means supporting the essence of our vibrant community. The gargantuan IKEA store in East Palo Alto should be a go-to place for anyone seeking inexpensive stylish furniture for their home or rental. Even if you're just after a replacement sofa or a new bedside table, Ikea's got a huge selection, and the prices are low enough to make it worth the hassle of dealing with the store's admittedly stressful checkout experience. The store is designed with shoppers in mind. There's a restaurant (open from 9:30-8PM) featuring Swedish meatballs with lingonberry sauce for five dollars (a must-have for any true IKEA adventure), pasta dishes, cinnamon buns, and 99 cent mix-and-match kids menu (organic applesauce and mac&cheese are among the offerings). In the mornings there's often a long line for the 99 cent breakfasts of eggs, Swedish potatoes, and bacon. IKEA gets another huge plus for kid friendliness--there's a colorful play area staffed with babysitters where the kids can hang out until you're done shopping. If anything goes wrong, the staff will page you, so you can go ahead and relax while browsing. The showrooms are a good jumping-off point for anyone starting from scratch. They are organized by room-purpose (living room, bedroom, dining room, etc. ), and an endless variety of styles. Seeing the showrooms already put together can help you get a feel for what goes with what, and how certain pieces of furniture might look in your own space. Some shoppers are put-off by IKEA's mass produced products, and it's true there's a certain automaton quality about the product room with of all its numbered boxes. But still, the prices are unbeatable, and most of the furniture is hardy and reliable. Supplementing heirlooms or antiques with IKEA furniture isn't a bad way to go, and even if your study looks like an IKEA showroom, little touches of personality are all it takes to make a space unique and personal. Temporary renters should especially consider a trip to IKEA--almost everything in the store is lightweight, easy to dismantle, and comes in do-it-yourself pieces that can fit through any door or tight hallway. If putting together a wall-sized bookshelf is too daunting for you, IKEA offers a builder service for a fee. In case you've missed it or you're new to the area, IKEA is located at 1700 E. Bayshore Road, directly across the freeway from the Four Seasons Hotel. It's open daily from 10AM-9PM, and the phone number is 650-323-4532. As if it isn't obvious from my previous posts , let me reiterate--I love dogs. Love them. 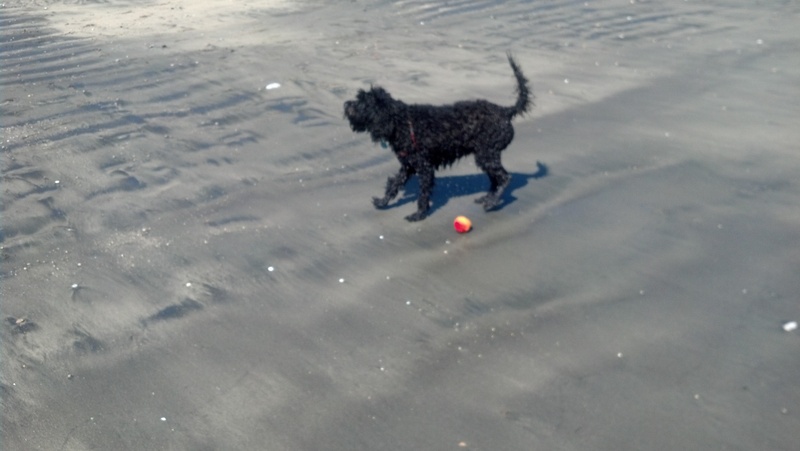 One of my favorite things to do is take my labradoodle Demi out for a run or to the docks at Redwood Shores. Demi is at her happiest here, chasing balls into the water for hours. Palo Alto is very dog compatible, with a number of quality dog runs and dog-approved local businesses. It sometimes seems like most members of the community are dog owners, and I've made some surprising friends while watching Demi play in local off-leash parks. As most pet-owners know, owning a dog is a great ice-breaker. This isn't just personal opinion--according to the Dog Blog, San Francisco and the surrounding Bay Area is one of the country's top cities for dogs. But if you're looking for the perfect place for you and your dog, don't overlook neighboring areas like Palo Alto, which feature dog-friendly amenities just as good as San Francisco's. In fact, two years ago our very own Palo Alto was the runner-up for the title of most dog friendly city in the USA. The rankings are determined by a number of criteria, including the percentage of of households that own dogs, number of dog parks, number of pet supply stores per capita, number of animal shelters per capita, number of dog boarding or daycare facilities per capita, number of heartworm cases--lowest incidence scores the highest (I love that this is taken into consideration--it's not just where dogs are happiest, but where dogs are healthiest), and the tie-breaker is the severity of local laws prohibiting animal cruelty and abuse. 1. Pet Health: Palo Alto Pet Hospital Located on El Camino next to the Palo Alto Medical Foundation, this is THE place to go for your pet's health needs. There's comfortable (heated!) boarding for your pets if they require an overnight stay and plenty of roomy areas so they aren't cooped up all day. Most medical services are performed at this facility, including surgery. They also provide excellent referrals. 2. Home Away From Home: PetsHotel by PetSmart An overnight or daycare facility for those days when you and your dog must be separated. There's tons of options as far as the comfort level you'd like your dog to have--in this way it's like a real hotel, offering a kind of sliding scale from standard accommodations to deluxe. PetsHotel is located in nearby Mountain View (very close to Palo Alto and almost as dog friendly), and they will also provide grooming services. Maybe your dog will make some friends! 3. You and Your Dog: Dog Friendly Hotels and Restaurants There are a number of dog-friendly businesses in Palo Alto. If you're strolling down University Avenue or through Stanford Shopping Center, it's very likely you won't have any trouble at all taking your well-behaved, and LEASHED dog inside the stores with you to browse. There's even a large number of dog-only boutiques (like one in Stanford Shopping Center), where your dog can check out speciality items ranging from full-fledged outfits to giant organic bones. Here's a short list of place I'm sure will welcome you and your dog. Hotels: Four Seasons, Crowne Plaza, The Westin, Sheraton, and Motel 6. Restaurants and Shopping: Restoration Hardware, Whole Foods, Nordstrom, Hear Music, Neiman Marcus, Books Inc, Giants Dugout, Bloomingdales, Postel Annex, The Sharper Image, Baja Fresh Mexican Grill, Golden Wok, Izzy's Brooklyn Bagels, Taxi's, Spalti Restaurant. 4. DOGS ONLY: Dog Runs, Dog Parks, Dog Docks The Palo Alto Baylands Preserve, on San Antonio Road, is five mostly unpaved miles of loop trail, where leashed dogs are allowed to run to their heart's content. This is an excellent spot for bird-watching, as well as a great place for your dog to play. Stanford University is another great spot for your dog to go--Demi and I frequent Stanford's miles of paths and tree-lined walkways. At the end of Palm Drive there's a popular little hang-out spot where locals bring their dogs on nice days. Hoover Park is a lovely little off-leash dog park on Cowper St. It's a great place to let your dog loose and get some exercise. Greer Park, on Amarillo Avenue, is a fenced off leash exercise park. Mitchell Park, located at 3800 Middlefield, is another wonderful spot. Although it's not technically Palo Alto, there's another dog park I especially love located in nearby Mountain View (the same town as the PetsHotel). Shoreline Dog Park has two areas, one for big dogs and one for small dogs, and shaded picnic tables for people too. Outside of each area you'll find purel hand sanitizer, paper towels, and poop bags. Water fountains for dogs and people, and close walking distance to downtown. This place is always crowded, so you and your dog will definitely leave with some new friends. The owners who take their dogs here are respectful, and if you go in the morning you'll see rake marks in the sandy dog areas--they're cleaned nightly. There really are so many reasons your dog will love Palo Alto. The city has a lovely natural setting, and the community definitely treasures its open spaces. It's actually classified as an urban forest, and with 34 city parks and almost 4,000 acres of wildlife preserves, Palo Alto stays true to that description. Your dog will thrive in the healthy atmosphere. The Green Elephant in South Palo Alto, Ca. The Green Elephant is a combo Chinese/Burmese Restaurant on Middlefield Rd. in the Piazza Shopping Center at the corner of Charleston. I've never actually eaten in the restaurant but get take out from there all the time. There are many wonderful dishes, but I just want to give you my person favorite. Also available are nutty fruity chicken or nutty fruity tofu. If you are in south Palo Alto it is worth a try. I have never seen this dish anywhere else, but I don't get out much, so maybe it's available in lots of places. If so, trust me, try it! Schools, Schools, Schools! Like Palo Alto, Mountain View has excellent schools. The Whisman School District is renowned for challenging academics that encourage students to reach their highest potential. Several magnet programs are offered throughout the district, including opportunities for dual language immersion. All schools are equipped with cutting-edge technology. Students consistently achieve some of the highest average test scores in the nation. Making the choice to raise your child in Mountain View guarantees a they'll get a good education, and it also reinforces the property value of your home--houses in good school districts are always better investments. Castro Street. 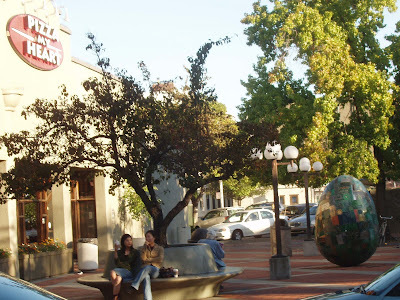 This downtown Mountain View centerpiece was designed with leisure in mind--the street is clean and well-lit, with thriving trees everywhere and wide stone benches perfect for quick shopping breaks or enjoying an outdoor lunch. There are a number of bookstores and high-end clothing stores, but the essence of Castro Street is really in the food. Indian-Chinese Fusion, healthy (really!) pizza, Greek, Japanese, Mexican--nearly every cuisine imaginable is represented within six blocks. I had the best mulligtawny of my life at Godavri, a small Indian gem with intensely flavorful food and great service. Lovely small town feel that's especially romantic at night, when the restaurants prop open their doors and the white lights strung through the trees turn on. The Best Tennis Courts in Santa Clara County-- Cuesta Park is a giant neighborhood park in Mountain View, with 16 tennis courts and great family bike trails. The courts stay open until 11PM and feature spectator areas and high judge's seats. Everything in the park is well-maintained, and there are bocce ball courts and play areas for kids. Patrolling security guards ensure a family atmosphere, and catching a free concert here in the summertime is a must. Center for the Performing Arts. The place to go for dance performances, TheatreWorks productions, children's theatre, and other cultural events. The center is cleverly designed and features state of the art technology. Local artists display their works in the Center's lobby. Caltrain Station and Light Rail-- Great for commuters and anyone looking to get to nearby San Jose, Palo Alto, or Sunnyvale in a flash. The station has tons of amenities--bicycle lockers and shelters, pay phones, station building with meeting room, and newspaper racks. It's also right in the heart of downtown Mountain View. San Antonio Shopping Center. Functional plaza with a variety of stores. Target, Craft, Sears, The Milk Pail, Albertson's, Payless, WalMart, a 24 hour gym, and best of all--Trader Joe's. It's the only Trader Joe's around and it's a good-sized store, chocked full of reasonably priced food and wine and Trader Joe's unique products. I love their cookie dough and blueberry museli. The pre-made wraps and sandwiches in the cooler are also a yummy lunchtime option. Diverse Housing Styles and Options. Walking through the residential streets in Mountain View is a visual pleasure--the houses are stylistically interesting, and there are many new homes, cottages, and contemporary style homes. It's also a nice area for buyers looking for alternative housing options. There are a lot of rentals, condos, and town homes in the area. Bridge School Benefit and Other Concerts at Shoreline Ampitheatre-- The annual Bridge School Benefit is organized by Neil Young and his wife Pegi. Every year I look forward to this one. All the proceeds from the concert go toward the Bridge School, which aids children with physical impairments. The line-ups of musician are always good and varied--last October I saw Tom Waits give a riveting performance with the Kronos Quartet, and there are always some fresh faces from the music scene kicking off the night. The Shoreline Ampitheatre is perfect for this event and other concerts--if you arrive early enough you can get close the stage, and if you come late the deal is almost better. Just spread out a blanket on the grass, uncork a bottle of wine, and enjoy the show. Doggie Heaven at Shoreline Dog Park-- Two areas--one for big dogs and one for small dogs, and shaded picnic tables for people too! Outside of each area you'll find purel hand sanitizer, paper towels, and poop bags. Water fountains for dogs and people, and close walking distance to downtown. 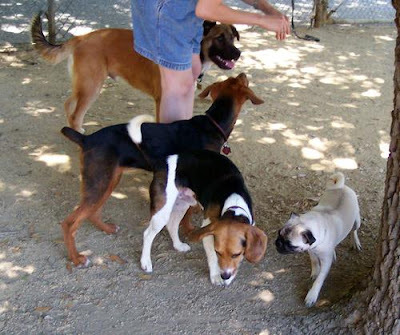 This place is always crowded, so you and your dog will leave with a few new friends. The owners who take their dogs here are respectful, and if you go in the morning you'll see rake marks in the sandy dog areas--they're cleaned nightly. Popcorn! Movies! Popcorn! Century Cinemas 16 is a big commercial movie theater that usually plays 13 or so movies at a time. They always run the latest blockbusters and keep some well-reviewed movies around for a while--handy if you miss the opening weekend rush. There's a Starbucks stand inside and every theater has those comfy wide chairs that lean back. But my favorite thing about Century 16 is the popcorn. It comes from the same standard glass case with the popping thing inside, but it's exceptionally good. Even if I'm full from dinner I always cave in to the popcorn when I catch a movie here. 1. Schools, Schools, Schools! Menlo Park, like Palo Alto and Mountain View, has some really outstanding schools. Students in this district are consistently high performers and many gain admission to top universities after high school. Public schools include Menlo Park and Las Lomitas, and private schools in the area include Trinity, Phillips Booth, St. Raymonds, St. Joseph, Sacred Heart, and Peninsula School. 2. Burgess Park. Located next the Civic Center, this park features a little league baseball field, a regulation baseball field, an open play field, lighted tennis courts, a soccer field, picnic areas, and children's playgrounds. The Burgess pool, rec center, sports center, and skate park are adjacent to the main park area. There's also a lovely and relaxing duck pond here that's a great place to relax and read abook. 3. Huge Library. Menlo's library (a quick walk from Burgess Park) is one of the town's focal points, especially for children and families. My two sons always enjoyed the Summer Reading Programs, and Storytimes are another free, entertaining, educational, and kid-approved favorite. Professional storytellers spin their magic at scheduled times throughout the week. On certain days, the stories cater to younger or older kids. The online live homework help program is one of the library's new services. It's totally free, and many of the tutors also speak Spanish. 4. Annual Connoisseurs' Marketplace. This is the summer festival for summer festival lovers--and one of the best events in the area. There's hardly anything more enjoyable than wandering a tree-lined street while local bands play during this popular festival of visual, performing, and culinary arts. It's always the third weekend of July on Santa Cruz Avenue. This year, Organic Alley will highlight samplings of the finest organic food the area offers. Old favorites like the cooking demos and the kid's fun zone will be up and running. The festival is always as eco-friendly as possible, and it embodies community values and the sense of civic responsibility cherished in Menlo Park and the Bay Area. 5. The Guild. This independent movie theatre is the place for real film lovers. Hard-to find independent and foreign films play here, and the space itself has art-deco touches everywhere and velvet curtains surrounding the movie screens. Plus, it's free refills on Mighty Leaf Tea AND all you can drink coffee. Two great touches that make movie-going a lot less draining on your wallet and more pleasurable. This is not your basic space-age blockbuster twelve screen Cinemax, and sometimes you have to put up with crackly sound or finicky seats. Nevertheless I've never had a bad experience here--the movies are always thought provoking, and sometimes the manager thanks you personally for coming. 6. Santa Cruz Avenue. This is the main drag of Menlo Park, where great shopping and world-class restaurants are crammed in side by side. You have endless options here--craft shops, clothing boutiques, interior design stores, bistros--literally anything you need. During lunch time it's crawling with business professionals eating at sidewalk tables, and there are always shoppers resting on benches or teenagers hanging out in the coffee shops. 7. Every Kind of Home. Wonderful housing options here as well. New homes, green homes on Willow, ranch homes on huge lots, condos, town homes, and tons of rentals near downtown ensure you'll find exactly what you're looking for in Menlo Park when it comes to your living needs..
8. Caltrain Station. You can get anywhere from here! You can also get here from anywhere on Santa Cruz Avenue, which is the biggest plus of all. This station is literally steps from Cafe Barrone and Kepler's Books, so ifyou arrive a little early you can always grab a magazine or a cup of coffee to ease your wait. 9. Kepler's Books. When the final Harry Potter book came out last summer, Kepler's threw the bash of the century to celebrate. There was a brass band, tents selling magic charms and Hogwart's culinary staples, and a sorting hat. Kids of all ages wandered around in robes with magic wands tucked under their arms, and it seemed like everyone from the Bay Area decided Kepler's was the place to snag the seventh wonder. My favorite touch was the keepsake ticket handed out at the beginning. You paid for the ticket, and traded the ticket in for the book. The line of Potter fans snaked out the door and around the corner, and the Kepler's staff did everything possible to make sure the night went smoothly. This place has a great history, and is one of the last independent bookstores standing in the Menlo Park/Palo Alto area. If they don't have something in stock, they're always happy to order it for you. 10. Menlo Medical Clinic. The staff here is friendly and accommodating, and the clinic gives off a good we actually care about your health vibe instead of that sterile, impersonal feeling. The lab staff is well trained, and it's very clean. The doctors in this group are among the best in their fields, and everyone in the facility is professional and helpful. MMC is affiliated with Stanford Hospital, so coming here with any illness or ailment guarantees you'll receive the best medical attention possible. Every year on December 24th, Stanford Theatre on University Ave. in Palo Alto shows Frank Capra's classic film "It's a Wonderful Life" staring Jimmy Stewart and Donna Reed. They have been doing this for the last 21 years, and it sells out every year. It is THE place to be on Christmas Eve for this wonderful little city. The theater is gorgeous, built in the 40's and renovated in the mid 80's by Dave Packard, or Little Dave as he is known here. His father, Big Dave was one of the founders of Hewlett Packard, who famously started Silicon Valley in a garage on Addison St. Before the show the huge Wurlitzer organ rises from under the stage plays Christmas music. When finished, it drops back under the stage. Then Dave comes to stage to talk about the theatre and the film. Last night he talked about how the film was originally released in May or June, I can't remember, but it was not Christmas. Little Dave's belief is that movies need to be seen in a theatre, with other people, and on the right day. He is certainly correct about this movie. I think it is this belief that keeps Dave from showing any movie made after 1960 at Stanford Theater. The magnificent red velvet curtain goes up and the movie begins. The audience is as much a part of the evening as the movie. Old friends see each other every year here. I saw Caroline Spangler who I had not seen since last Christmas Eve. Our kids grew up together, but now that they are adults we do not see each other much. Caroline's children Nick and Starr just won "The Amazing Race" and I had not congratulated her yet, but figured I would see her here so I did not feel guilty. My kids saw friends from elementary and high school and got caught up in person, instead of just on Facebook. My sister just moved here from Bethesda and was introduced for the first time to a piece of Pal Alto social and cultural life. She was impressed. During the movie the audience claps, boos at the bad guy, and is totally transported into Bedford Falls. My favorite part is when the names of two of the characters, best friends Bert and Ernie are finally said in together. There is huge laughter from the newbies in the audience, who realize for the first time where Jim Henson came up with his Bert and Ernie on "Sesame Street." So if you are anywhere near Palo Alto next Christmas Eve be sure and come to see this heartwarming film in the ideal setting. Tickets usually sell out 3 or 4 days ahead of time, and can not be bought on the internet. However, the line forms to get a seat a few hours before the show, and there are always people there giving away their extra tickets. They rarely sell the extras, and no one scalps. It really is a wonderful life in Palo Alto. 1. Schools, Schools, Schools! Palo Alto has some of the greatest schools in the country. Whether your kid is seven or seventeen, going to school in Palo Alto guarantees access to incredible academic resources and enrichment programs. Gunn High School is renowned for its competitive academics (and award-winning robotics team!) --they send over twenty graduates a year to college right around the corner at Stanford University. Palo Alto Children's Theatre sponsors outreach programs in district elementary, middle, and high schools. First-rate music programs are available at every turn, and choice programs like teacher-directed learning at Hoover, conceptual learning at Ohlone, and Connections at JLS are always options for parents interested in exploring a wide range of learning possibilities for their children. 2. Rolling Foothills, Open Spaces, Artfully Landscaped Public Gardens, Jasmine Flowers---Palo Alto is a community that treasures its trees and open spaces. The city is classified as an urban forest, and Palo Alto stays true to that description with 34 city parks and almost 4,000 acres of wildlife preserves. A local commitment to keeping businesses "green" ensures a healthy environment, as does a requirement forcing all new buildings to adhere to strict environmental codes. There's also a Zero Waste Initiative and a dedication to alternative transportation. 3. Calling All Bookworms! Libraries in Palo Alto are truly exemplary--creativity blossoms during the interactive story-telling programs at the Children's Library, and annual summer reading programs keep pages turning. Visits from famous writers dot the library's schedule. Online programs offer opportunities to learn a new language or to survey newspapers from other countries. Libraries here are a community hallmark and a great enrichment resource. 4. Nationally Acclaimed Theatres-- Catch the world premiere of an original play or a Shakespeare staple at TheatreWorks, the best repertory theatre in the Bay Area. The current season includes the Pulitzer-Prize winning drama Doubt, August Wilson's Radio Golf, and beloved musical Grey Gardens. Local theatre company the Palo Alto Players mount yearly productions in case you exhaust the shows at TheatreWorks. The Palo Alto Children's Theatre gives kids a place to test their acting chops. 5. Easy Access to San Francisco and San Jose--Two nearby CalTrain stops make getting to San Francisco, San Jose, and other Northern California locations a snap. 6. Red Mango Yogurt!!!! Enough said. If you've never tasted Red Mango's creamy froyo perfection laced with your choice of mango, kiwi, strawberry, blueberry, coconut, blackberry, raspberry, chocolate chips, almonds, or basically any other delicious topping imaginable--that's reason enough to move to Palo Alto. Or at least visit.University and California Avenues--Both avenues embody Palo Alto's quaint downtown appeal--personalized local shops and restaurants are nestled next to the Apple Store on University, and at night the thriving bar scene makes this area a prime destination for coeds and graduates. Word-class Indian, Chinese, Thai, Mediterranean, and Italian restaurants are among the many dining choices. 7. Architecture. -- Diverse housing styles make Palo Alto visually appealing. New homes with cutting-edge design line blocks alongside cottages, ranch homes, Eichlers, Tudors, and Spanish Style houses. 8. The Baylands. -- The largest tract of undistrubed marshland remaining in the San Francisco Bay is hemmed in by Mountain View and East Palo Alto. The Baylands encompass 1940 acres of unique tidal and freshwater habitats. The best bird watching in the world is done right here. Wildlife observation platforms and picnic areas with barbecues make this spot a family favorite. 9. Locally Sustained Farmers Markets. -- From mid-May through mid-December farmers markets downtown and on California Avenue are open every Saturday from 8AM to 12PM. Local vendors offer a wide array of fresh produce and specialty items like grass-fed beef, artisan cheese, Bay Area wines, California-grown bananas, mangoes, and avocados. Local musicians provide a relaxing atmosphere for browsing samplings from nearby ranches and farms. Non-Profit. 10. University and California Avenues--Both avenues embody Palo Alto's quaint downtown appeal--personalized local shops and restaurants are nestled next to the Apple Store on University, and at night the thriving bar scene makes this area a prime destination for coeds and graduates. Word-class Indian, Chinese, Thai, Mediterranean, and Italian restaurants are among the many dining choices.